Booze galore at The Good Spirits Co.
Parties, dinners, pre-drinking, alcoholic gifts given in a bottle bag on it's umpteenth outing, Christmas is a very boozy season. Here's where to head when you're on the hunt for a special tipple this December. This Bath Street basement is stacked with alcoholic delights from across the globe. There are gins sourced from Shetland to New Zealand, vodkas flavoured with Polish honey, Japanese and American whiskey, Scotch whisky, brandy, tequila and rum. You might even get to try before you buy. Your chosen spirit will be bottled before your very eyes. The shelves are stacked with giant demijohns filled with sloe gin, rhubarb vodka liqueur and spiced rum liqueur, all made by British artisanal producers. Can't choose? Opt for a spirit rack. You're already going for your wine, stay for the the spirits. You know a shop knows its stuff when the vodkas are divided by ingredients (potato, barley, corn) and the gin is classified as Old Tom, London Dry and floral. The ideal place for that loveable drink snob in your life. 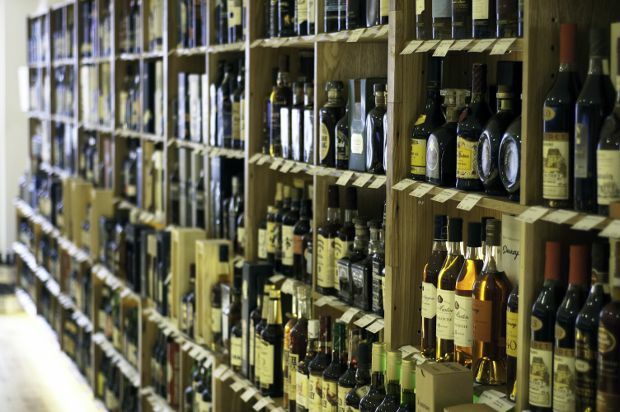 There's no shortage of whisky in Scotland's capital and with nearly 500 different whisky bottlings you're sure to find a scotch of your liking here. There's also a specially developed flavour map to help you choose and pick'n'mix miniatures to create your own tasting pack. An independent bottle shop with beer and wine stacked floor to ceiling. Their concise selections of liqueurs, gins, vodkas, malts, blends and brandies are eclectic and wide ranging. Stop by the chocolate fridge and the well-stocked humidor on the way to the till. B The Good Spirits Co.